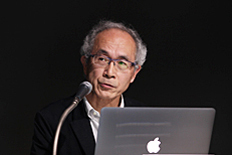 Born 1948 in Tokyo. 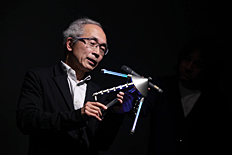 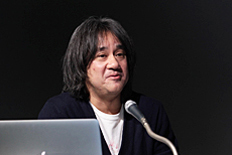 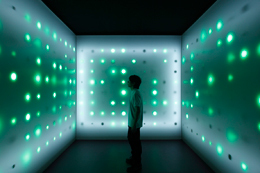 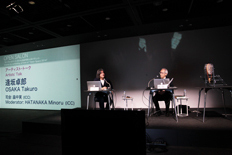 Pioneering figure in Japanese light art, and creator of such "space" themed works as the "Cosmic Ray Series," in which cosmic rays are detected with sensors, and visualized in blinking LEDs, and the "Luna Project" capturing moonlight with a large mirror. 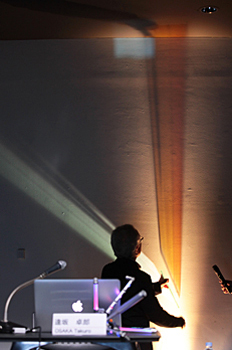 Established the space art research community "beyond [space+art+design]," and has been carrying out artistic experiments with light and water at the International Space Station (ISS) since 2008.